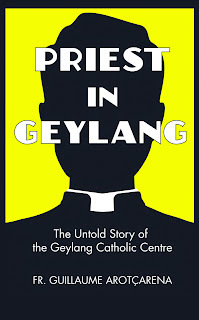 If you have not read Part I of the review of Priest in Geylang written by Father Guillaume Arotcarena, click here. There is this interesting story in the book which kinda indicates the Marxist/historical materialism analysis approach taken by Father Arotcarena. Catherine, the wife of Michael, is of bourgeois background and so when her necklace was stolen by her domestic helper (proletariat), Catherine who was well-off, was quite capable of replacing it, and hence did not "arouse much compassion" from the priest. Although Father Guillaume Arotcarena was quite right to ask Catherine to make a room for her helper, I can't help but to see that the Father was unnecessary bias in his writings against Catherine, who happens to be well-off. This coming from a priest who quoted Antonio Gramsci at the end of his introductory chapter. If you are wondering who is Michael, the high-ranking magistrate, it would not be hard to guess. He was among the first batch of lawyers to be appointed the rank of senior counsel in 1997 along with Davinder Singh and VK Rajah and his brother was once arrested by the ISD . I will leave you with this short story of Catherine and Vilma from the book. Sometimes I had to get involved in things I would rather keep way from. One day I had a visit from Catherine. I knew her and her family. I knew her husband, Michael, very well, a high-ranking magistrate in the judiciary. 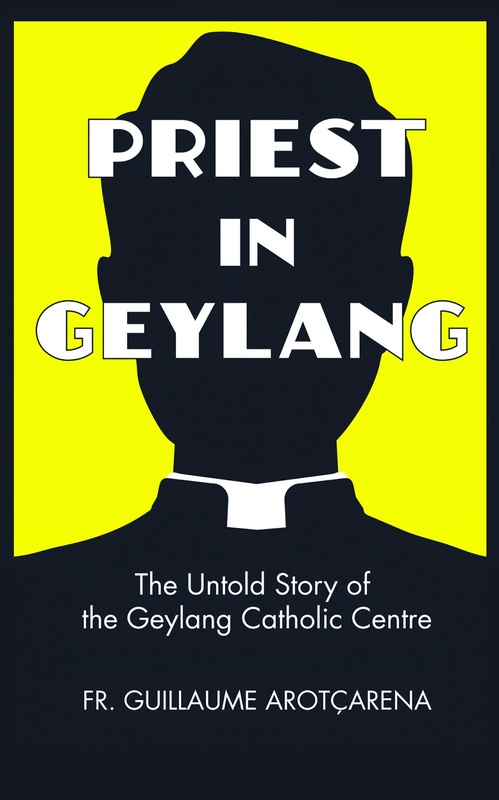 They were devout Catholics, about 40 years of age. Both of them came from a bourgeois background, and they employed a young Filipina even though they have no real need for her; they were childless, lived in a very nice flat downtown which was easy to upkeep. But because they were amahs (servants) in the house in their childhood, it seemed to them that they should similarly have one now to maintain their standing and also relieve Catherine from any domestic chores. Yet Catherine did not work and would have had plenty of time to do the housework. Anyway, this is how Vilma arrived in their home. She was in her 20s, resourceful but a little scatterbrained. In brief, she was what could be expected of someone her age. I saw her fairly often at the Geylang Centre when she had her day of rest. She would come to chat with the other girls there. Catherine told me that she lost a gold chain which she was particularly fond of. It was given to her by her husband. Until this point, her story did not arouse much compassion from me because she had the means to replace the necklace with another one which she would like just as much. But she suspected that Vilma had stolen it and I must admit on the face of it, it looked like she was probably right. She was ready to forgive Vilma if the chain was returned to her. Otherwise she would cancel her contract and send her back to the Philippines. What puzzled her was that she had gone through all of Vilma's belongings in her presence and searched the flat thoroughly as well but the gold chain was nowhere to be found. She asked me if I could help. In the end, I offered to talk to Vilma the next day at her home on the condition that she would not be there herself. She accepted. I went at the arranged time. Vilma opened the door, a bit surprised to see me and told me her boss was not in. I told her it was just as well because I wanted to talk to her, Vilma. I told her without beating around the bush that she had better give me the chain she had taken so that I could return it to her boss or else her contract would be cancelled and she would have to go back to the Philippines. Her parents and her younger siblings relied on her salary for their living. I promised the matter would rest there and she would suffer no consequences if she returned the object. It did not take her long to admit to the theft and she went to the window in the sitting-room where there was an evergreen potted plant. She dug into the pot, extracted the precious chain and gave it to me. In fact she did not know how to get out of the situation without losing face and regretted having given in to the impulse to hide the chain away. She had hoped her boss would quickly forget about the chain because she had so many other pieces of jewellery. I reiterated my promise and told her not to worry. That night Catherine came to the Geylang Centre and I returned the gold chain to her. She wanted to know how I found it but I never told her. I brought to her attention that there were two bedrooms in her flat and that I did not understand why Vilma had to sleep in the kitchen. She could free the second bedroom so that Vilma would have a place for herself and enjoy some privacy. She told me that this was how amahs lived when she was a child! Which shows that silliness is equally distributed in all social classes. But she promised that she would follow my advice. This is how I gained a largely overrated reputation as a Sherlock Holmes among her relatives to whom she was quick to recount the story with embellishments of her own. All in all, the episode ended quite well and the relationship between Vilma and Catherine improved markedly.